Comments: Angelo Cervone (Nee: ) | Coney Island Brooklyn, NY US | | Comments: I am looking for information on my grandfather. He is the one in the middle of this photograph. I don't have much information on him. He was born around 1920 in California. 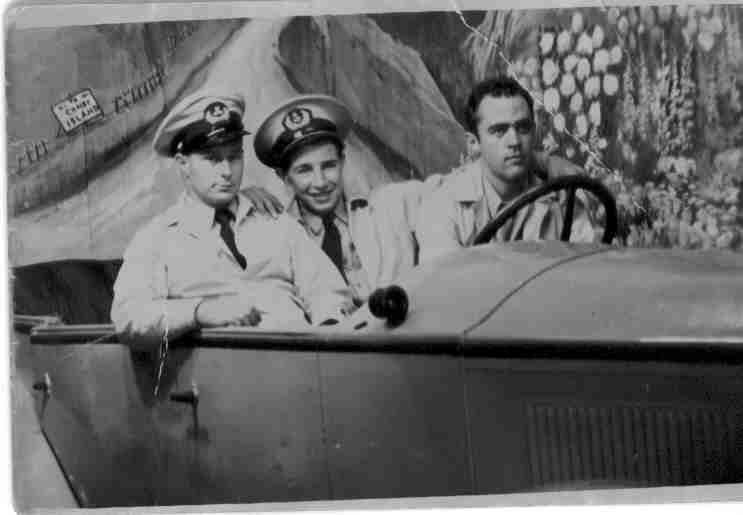 I think this picture may have been taken in Coney Island, Brooklyn, NY when the Merchant Marines were in port. If anyone has any information on him or the other men in the photo it would be greatly appreciated. Angelo had a brother named Tony and an aunt Marion. He married Mary Coppolla and they had two children, Richard (7/14/47) and Julia (7/10/? ).